Options: basket-weave sea grass seat, rawhide seat (as seen in photos) or a wooden seat. Custom stains and finishes. 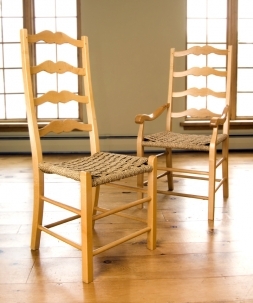 With a back structure that looks like a ladder, these chairs are made of maple making them strong and comfortable.